Tuscany is cycling heaven! Not only is it beautiful & steeped in history, it also has some of the best wines and food in the world! 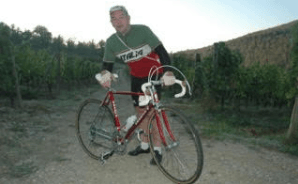 One of Tuscany's most famous vintage cycling events. A great experience and an even better pasta party afterwards! We offer a wide range of fantastic bike tours and cycling holidays in Tuscany. See what we have on offer for you and your family in 2019! 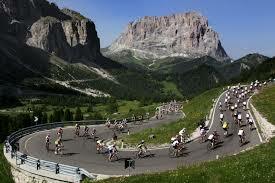 GustoCycling are specialists in Tuscany cycling holidays and cycle packages to cater for all interests and age ranges. We have 9 years experience in providing first class cycling tours and access to the most prestigious biking events in Tuscany. We are the leading company in Tuscany Cycle Hire so if you just prefer to cycle across the majestic, mountainous Tuscan landscape visiting all the historic cities at your own leisure you can! 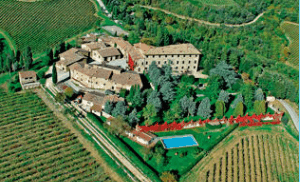 We can also provide luxury accommodation in our beautiful villa situated in the Heart of Tuscany. Tuscany Bicycle Tours are very popular with cyclists all over the world. The cycling terrain varies from the smooth roads for racing through to more rugged cycle paths in the beautiful Tuscan countryside. At GustoCycling, we not only provide bike tours and holidays but are also key partners of some of the most cycling events in the world such as the famous L’eroica, where you will cycle in the superb Chanti hills and experience the beautiful view of Siena. It’s not just the cycling event but also the build up and food is remarkable. We pride ourselves on providing our customers with excellent value. We have the experience, knowledge of the area, facilities and contacts to make sure stay in Tuscany a truly memorable one. The area of Tuscany is a veritable treasure trove of fine art, fine wines, fine foods and extraordinarily beautiful countryside. Tuscany is classic Italy; a region of timeless beauty, rich in culture and liberally sprinkled with vineyards and cypress trees. Visit beautiful and historic cities like Florence, the unique walled ‘city of towers’, San Gimignano, then there is Arezzo, Lucca, Siena, Pisa and Cortona all strikingly beautiful with an abundance of historical artifacts in a region steeped in rustic charm. It is easy to see why Tuscany is so popular with a diverse range of tourists, there is the sea coast for sun worshippers, the mountain paths for walkers, rolling hills for cyclists, Cultural artefacts for historians and Italian food, wine and hospitality for everyone! Tuscany is one of the most aesthetically beautiful of the world’s wine regions and is the greatest, most original and most ancient producer within Italy. The major areas such as Chianti Classico and Montalcino, as well as lesser known, but equally delicious, wines of the region such as Vernaccia. The wide range of grape varieties used in the area have helped establish the area’s growing reputation. We strive to add more tours and cycling routes to our current selection every year, to give our present and new customers the unique opportunity to have another unforgettable cycling experience in Tuscany. GustoCycling today if you are looking to book a holiday in Tuscany. Whether you are looking to take part in a prestigious cycling event or have a relaxing family cycling holiday we can cater for your requirements. 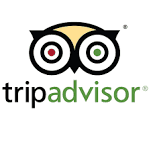 We have a very strong reputation in providing excellent holiday packages and tours to people all over the world. So contact us via email: marco@gustocycling.com or telephone on +44 7515 941879 and we will be more than happy to create your dream cycling holiday!